Mise en ligne de www.caddieplayer.com une application interactive basée sur étude scientifique. Cette application est le fruit de 5 années de recherche et 6 mois de développement. Elle a été imaginée par Stéphane Barras, membre du golf club de Crans-sur-Sierre. « CaddiePlayer » offre la possibilité à des amateurs, caddies, entraineurs et joueurs professionnels d’interagir et de profiter des dernières avancées en matière statistiques. « CaddiePlayer » est la solution pour identifier les « Interférences » et améliorer son score. Depuis 2009, Stéphane Barras assiste et analyse les meilleurs joueurs du monde. Justin Rose, le vainqueur de l’US Open a également participé a l’étude publiée par Stéphane Barras > Une meilleure compréhension des distances et des objectifs sur le green. 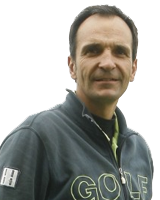 Le Mémorial Olivier Barras est un tournois open amateurs/professionnels organisé en mémoire d’un parent de Stéphane Barras qui fut dans les années 60 l’un des meilleurs amateurs d’Europe. Le Mémorial Olivier Barras est un tournois de renommée International es qui se dispute depuis 49 ans pendant le mois de juin. Ont notamment remporté le Mémorial Olivier Barras > Michael Campbell et Raphael Jacquelin. Justin Rose produced a sensational level par final round to overcome a rollercoaster last day and win the US Open Championship at Merion. The Englishman held tough on an amazing final day in Pennsylvania, his closing 70 giving him a one over par total and enough to finish two clear of Jason Day and Phil Mickelson – who had to endure the heartbreak of a sixth runner-up finish in the event on his 43rd birthday. Rose started badly with a bogey at the third, but responded well and stood one clear on the final tee. The 18th on Merion’s East Course did not yield a single birdie over the weekend, but nobody got nearer than Rose – who split the fairway and, from within a club length of Ben Hogan’s plaque, fired a superb iron which was unfortunate to run through the green. An ingenious three-wood from the fringe stopped a couple of rotations short of the cup, but there were tears in the eyes of Rose as he tapped in for par on Fathers’ Day 11 years after the passing of his Dad and mentor Ken. "What a day," an emotional Rose said. "I don't know what to say, I'm thrilled. I just kept telling myself that (making bogeys) is what everyone is doing. "You saw me look to the heavens with it being Father's Day - I was just trying to remember my dad." It completes a remarkable rise to the top for Rose, 15 years after he burst onto the scene as a 17 year old amateur by finishing tied for fourth in The Open Championship at Birkdale. His professional career began with 21 consecutive missed cuts, but a first European Tour win arrived in 2002 and there has rarely been a backward step since. A first World Golf Championships title at last year’s Cadillac Championship confirmed the 32 year old’s status in the upper echelons of the game, and he was one of Europe’s leading lights in the miraculous Ryder Cup victory at Medinah – where again Mickelson was on the receiving end of his brilliance in the Sunday singles. *Tony Jacklin was the last Englishman to win the US Open in 1970 - ten years before Rose was born - while Nick Faldo was the last to win a Major in the 1996 Masters Tournament. But Rose had said after the second round that he knew "deep down" he could win a Major and held his nerve on a dramatic final day, carding five birdies and five bogeys. Mickelson's closing 74 saw him finish two shots behind Rose in a share of second with Australian Jason Day (71), with Jason Dufner, Open Champion Ernie Els, Billy Horschel and Hunter Mahan two shots further back. Luke Donald, who played with Rose, recovered from a front nine of 42 to come home in 33 and finish alongside Steve Stricker on six over. Stricker hit two shots out of bounds, the second of them a dreaded shank, to take eight on the par five second. Rose began the day two shots off the lead held by Mickelson, but with Merion playing havoc with the leading groups an outward nine containing three birdies and two bogeys was enough to give him a one shot lead. *Stephane Barras, founder of "CaddiePlayer" caddie for Tony Jacklin in 1977. Fanny Sunesson, the most successful female caddie in modern golf history retired from caddying in October 2011, she has remained busy, developing her career as an all-round golf coach. Her knowledge and experience of working with world class golfers, such as Nick Faldo, Martin Kaymer and Henrik Stenson is legendary and inspirational to the young players who are just beginning their careers on the LET. In this interview, LET discuss her hands-on approach to the tournament and what she learned from 26 years as a top caddie on the men’s PGA European Tour. In the first year, I learned that I would always say what I believed as a caddie and what I thought, even if it wasn’t the same as the player. One other thing that I realise now is that I paid a lot of attention to the state of mind of the player and I tried to help them stay in the best state of mind for performing. After taking coaching courses I realise now the importance of this but in the beginning I did it automatically by feel. Finding the right state of mind is an individual thing and so it’s through experience and getting to know the person that you find out what works for that player. If you pass by Beijing make sure you visit Tianjin city only 30 mn away, thanks to the 300 km/per hour bullet Train. The Tianjin train station is quite impressive and more over looking 19th century Gustave Eiffel JieFang Bridge with more ancient bulding nearby. Unfortunatly the China Open course is about 45mn away so not too many players got to see this historical places. The Pete Dye course is by the sea a links type where the wind can be devestating and more the hole 12, a tricky par 5 with the a narrow green on a mount where I have witnesses back an forth wedges and chips. I was staying with active participant of my research from France tour Player Christian Cevaer who is trying to find his game back after a elbow injury. Christian and I shared some great golf moments. I was also happy to meet my old Coco Beach Florida buddy Danny Sharp (note: in the 80's Danny and I were winter practicing in Royal Oak FL, Home of the Canadian PGA and legendary Player Moe Norman). Today, Danny is a world class Caddie for LPGA Lorie Kane and European Tour Thomas Aiken. Danny is the first tour caddie using my putting research, as one of my goal this year is also that her player Lorie Kane will reach her 100 top 10, hopefully before the Evian Masters so we can celebrate there. I was also in close contact with some of the 30 Chinese Players (only 3 made the cut) among them Zhang and Li where I used my findings stats to analyze their performances my biggest surprise of the week was to be invited to seat next to Caddie legend Fanny Sunesson who was there as a Volvo Speaker. Fanny shared my same believe on performances and more on course management, she then send me a nice email later surely we will meet again. After a last range practice session on saturday with Christian Cevaer, the Volvo Limousine drove us to the airport where we said “Goodby and Courage" I stayed a few more days in Beijing to meet more people toward my Olympic Quest.